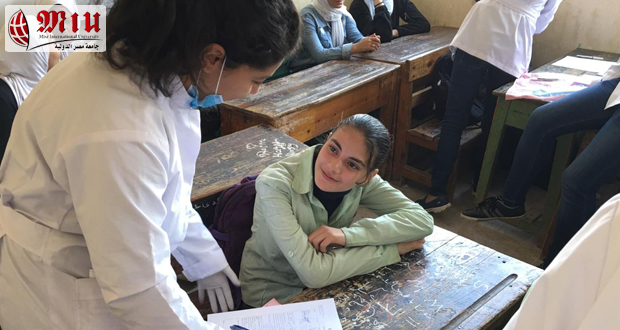 On Thursday 22nd of November 2018, MIU Community Service and Environmental Committee, in cooperation with the Student and Educational Affairs Committee, organized a field trip to visit Al Hurreya School for girls – Al Nahda District, under the auspices of the Egyptian Red Crescent Society. 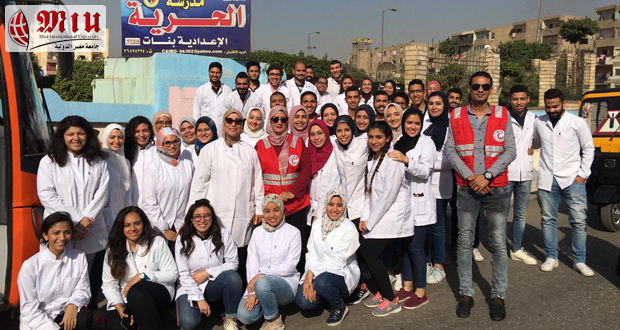 A group of staff members, fourth year dental students as well as a team from MIU Dental Clinic Complex (nurses and administrative personnel) joined the trip. The purpose of the visit was to promote dental health awareness and to improve the oral health conditions of the school students. 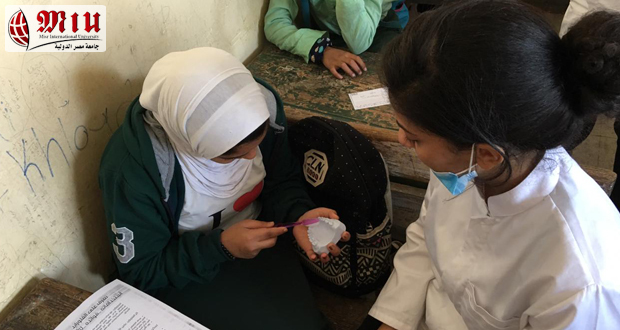 During the visit, fourth year students examined the preparatory school students (13-15 years old) to fulfill one of the requirements of the Oral Medicine and Diagnosis Curriculum. 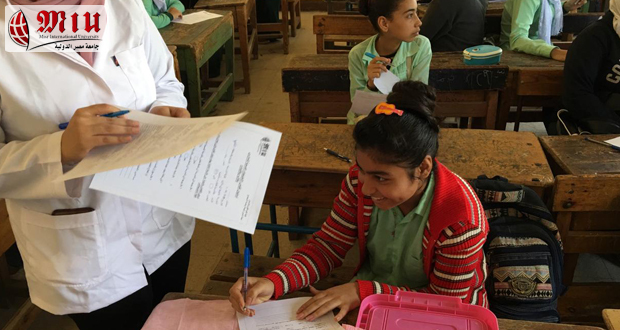 The school students received cards explaining their oral health state as well as the suggested treatment to be handed to their parents. They were all invited to visit MIU Dental Clinic Complex to receive the required dental care free of charge.